There’s no mistaking the FIAT 500 for anything but what it is – an attractive and tiny car with more brio than a triple espresso and enough personality to cameo in a Fellini film. But the 500, for all its charms and its many variants, is aging – it was first introduced in Europe in 1957 – and FIAT’s U.S. dealers have long wanted a larger variety of product to sell. In 2013, they got the 500L – a funky, mini-minivan European style MPV that added flexibility but missed the mark on style and excitement. Now comes the 500X – a small crossover that retains much of the 500’s external style. Small is a relative term – the 500X is much larger than the 500, and is comparable in size to crossovers like the Kia Soul and Chevy Trax – its primary targets in the crossover wars. Contrary to the name’s suggestion, the 500X is not based on the original 500, but rather shares architecture with the equally new Jeep Renegade. Sometime soon, FIAT is planning to launch a non-500 badged car in the United States (a roadster based on the Mazda Miata), but for now the power of the original 500 looms large over the U.S. lineup, hence the designation. 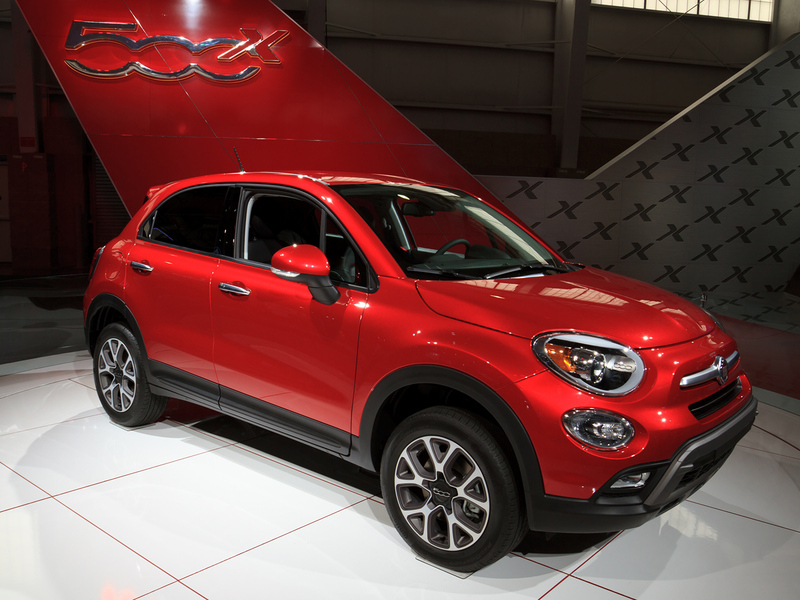 The 500X was designed with North America in mind from the outset – the first FIAT to ever get that treatment – and it shows. The proportions are broad and the available 17-inch wheels make it look at home on the boulevard or the back roads. Two engines are available – a base 160-hp, turbocharged 1.4 liter four that also serves in the 500 Abarth, and a torqued up 180-hp 2.4-liter four that will likely power most 500Xs. In a nod to American tastes, manual transmissions are only available with the small engine and on lower-rung models. Most cars will get a nine-speed automatic. This is an odd choice considering that the FIAT brand is wrapped up in visions of Roberto Benigni’s hyperactive Roman taxi driver in Night on Earth and associations with other flamboyant Italian enthusiast cars, but FIAT says it expects a very low take rate on manuals. All-wheel drive is optional as you’d expect in a crossover, but so are several features typically not found in this class of car, such as lane departure and collision warning systems, and a blind spot monitor. Inside, the interior is typically stylish FIAT, either in basic form or with touchscreens and optional goodies. It is not quite as boutique as some of the special 500 interiors, but expect special versions down the road. The interior also has a more solid feel than some previous FIAT efforts, which helps perceived fit and finish. The car starts at $20,900. 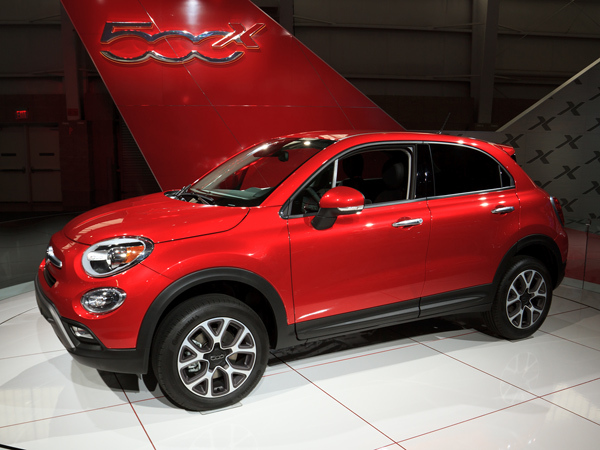 But the 500X represents, for FIAT USA, more than just another new entry into the crossover game. That would be important enough, but the real game changer is that the 500X will significantly expand FIAT’s appeal to new customers as a whole. American customers who liked the original 500 but have passed it over because of its small size, or who didn’t really “get” the 500L, will find they now have the option of a stylish four-door vehicle that is aimed right down Main Street rather than being adapted for them from the tight streets of Turin or Brescia. IHS expects that FIAT will sell about 73,000 500Xs in its first year out and 100,000 in 2016, with a significant number of those in the United States. Numbers like that could double FIAT’s annual U.S. sales, which have not increased since 2012, if the model is well received – which would greatly expand the brand’s presence and impact in the market.